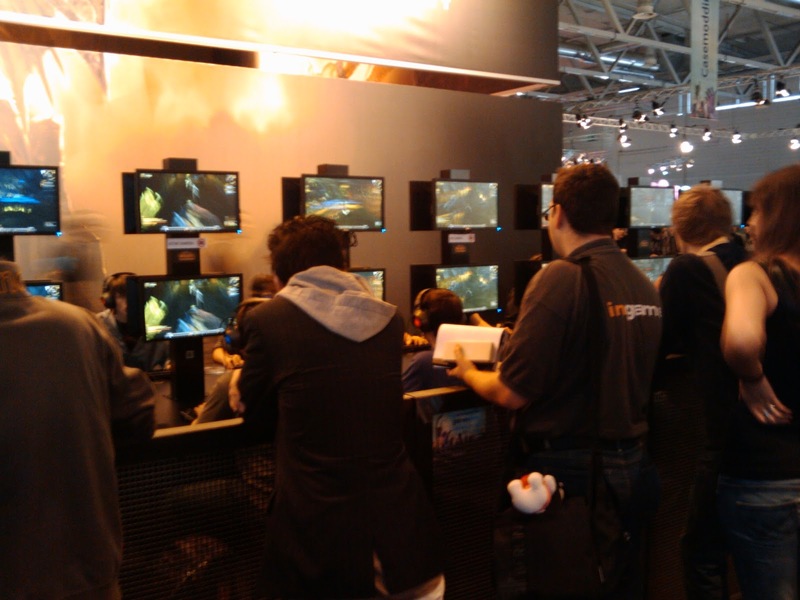 Ryo Central: Gamecom 2010 - Total Recall ! Gamecom 2010 - Total Recall ! Now after 2009 I had high expectations for this year's biggest gaming expo on the planet. And again, I wasn't sorry that I went there on Thursday. It was huge, it was loud, it was fun and I'll probably never will get into the Blizzard booth. I was there only minutes after the expo opened, and the line already ends where a sign said "Don't get in line. Waiting time: 4 hours from this point." No way. Just like last year. They really need to do something about that. I don't even want to think about how this will be on Saturday, the strongest day. Can you even get into the hall? Fun everywhere, cute booth girls, and in-game like models, the presentation was good at most places. Some of them were so loud you couldn't be there without ear protection. And some of them made strip shows to get the attention. There is luckily no restriction on the booth girls, so some bikini beauties were spotted, and some stripped for Poisonville. Man, I came too late, it just finished. Noooo. But the most important thing, the games, were really the thing we all paid the most attention (really :) )! I saw some trends. The free2play games are getting worse. Just a few showed different. Even big names like "Lord of the Rings online" were so horrible, they must be very early beta. 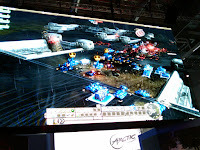 At Gamigo I saw "Angels of War". Well to put it this way... Your char runs so slow even the shortest ways takes forever, and the graphic is only basic, steering is gruesome. It doesn't look like a game ready for release. And I hope it gets improved. So most the F2P games are really not worth it (huh?) unlike last year. The good: New paid MMORPGS are on their way that are promising, like "Rift". In RT-Strategy there is "End of Nations" which rocked the party! They are on my list. 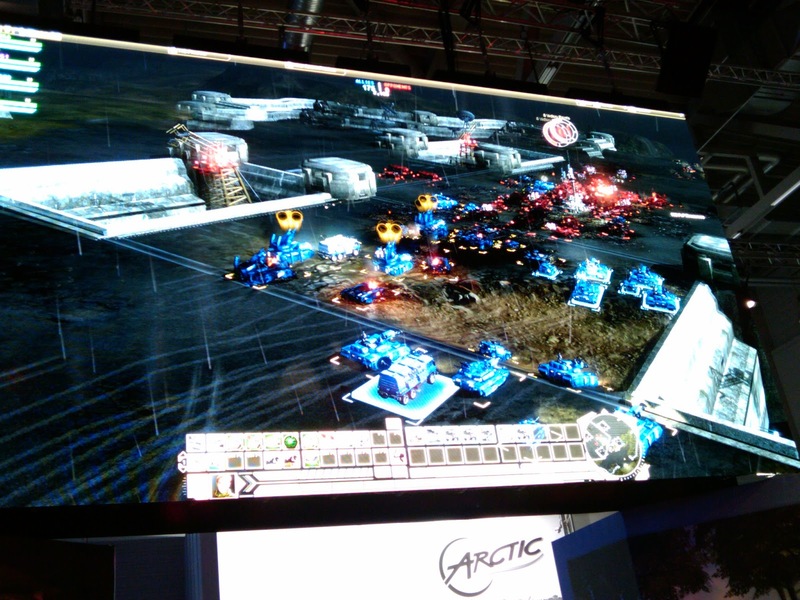 Trion really made a good presentation and had the good games. My personal NUMBER 1 this year! And not to forget "Star Wars - The Old Republic" which promises to be epic. Well indeed the time to wait to get in the booth were epic...2 hours. So all in all it was a lot of fun. I can't wait for 2011. I saw enough games for the next Expo to play.